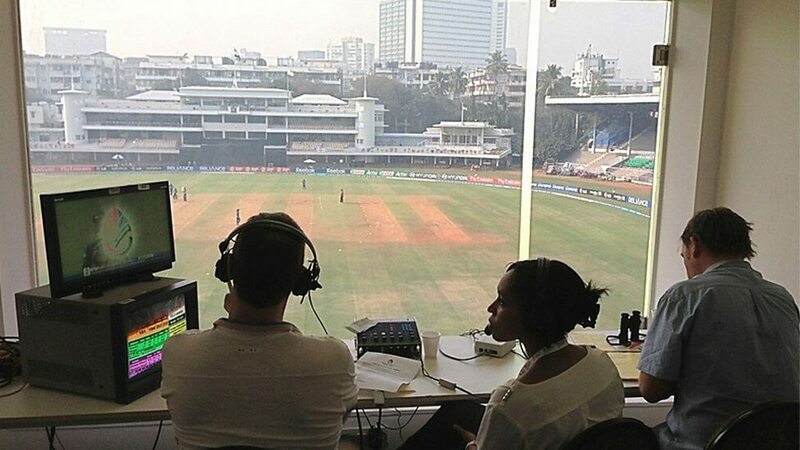 I have been watching cricket on tv for years and have occasionally seen the commentary box. Usually, the camera will be behind the commentators and the image will show the commentators watching the match from a small room, and the players will also be visible. There may be a change of commentators (somebody moving in and somebody moving out) and even then, we could see the field. More-over, commentators will be talking about events which are not visible to tv viewers, meaning it is happening outside the range of the camera. This type of video "proves" that the commentators are in the commentary box. Surely, these commentators are in the stadium. Now-a-days (atleast in T20 WC matches or IPL Matches) I feel that the commentators are not in the box, but are watching a broadcast stream in some studio. It is not really clear if they are in the stadium or in a small studio, pretending to be watching the match live at the stadium. The last picture is especially suspicious, because it looks like the camera will be blocking the view of the match. (1) The commentators (and the change of commentators) will always shown from the front, and there will never be a view of the commentators with the field or players in view. (2) The commentators seem to say exactly what is shown on the screen and seem to be clueless of the ground situation. Eg 2A : On the tv, a ball going towards the boundary may look like it will cross it, while the commentators should be able to see a fielder running towards it. I have seen cases where the commentator was saying something like "going to be a four [that is what we can see] ... no, a fielder gets to it at the last moment [that is when the tv shows the fielder]", which I can make out without the redundant commentary. Eg 2B : A ball hit too high may look like a six on tv, and even the commentator will claim that it is going to be a six, but eventually we see that it has simply gone up and come down on the wicketkeeper, who takes an easy catch. After noticing this couple of years back, I have been waiting for similar comments in latest matches, but I think they have become clever and do not comment on these things now ; they wait for the tv to show what is happening and then they say what we can already see. (3) I noticed that occasionally there is the light from tv screen on the faces on the commentators. (4) I also noticed that commentators do not say anything which is not shown on the tv, Eg If umpire has asked for 3RD umpire Decision, but the tv has not shown him asking for it, then commentators too will be talking about other things, like "boy-o-boy, at a time like this, a huge risk in trying to take a single [replay shows umpire asking for 3RD umpire Decision] and what will it be ? Out or not out ? ", where basically, they are trying to hide the fact that they are clueless until the tv shows what is happening. We have English Commentary Broadcast (claimed implicitly to be from stadium) and Hindi Commentary Broadcast (known to be from studio) and both are similar, making me suspect that even the English Broadcast is from the studio. 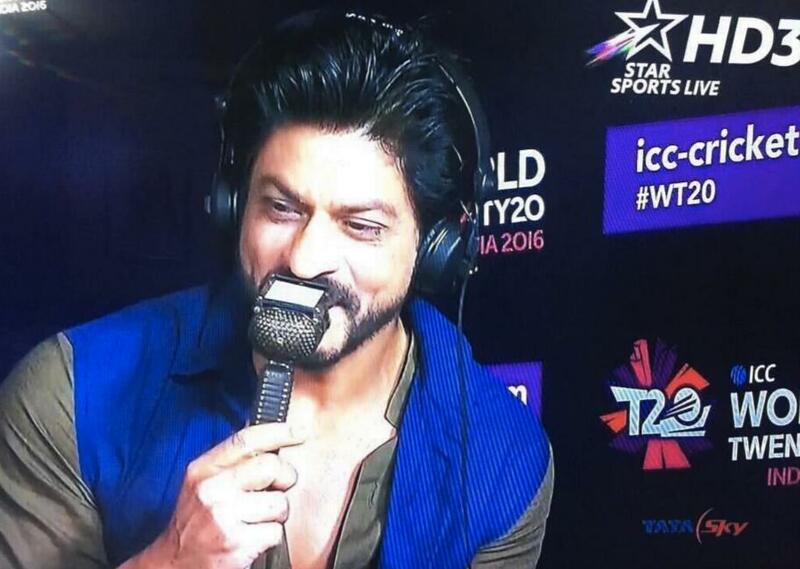 In recent IPL T20 cricket matches, are the commentators in the stadium or watching a broadcast in some studio ? I am not claiming that all commentaries are from studio, I am only saying that in some matches (especially T20 IPL) the studio is used, without informing the audience, but then they never explicitly claimed to be in the stadium, so they are not really lying. It may be that the studio is easier for bringing in Film Stars who do not want to get stuck in the huge crowds or traffic generated by IPL. 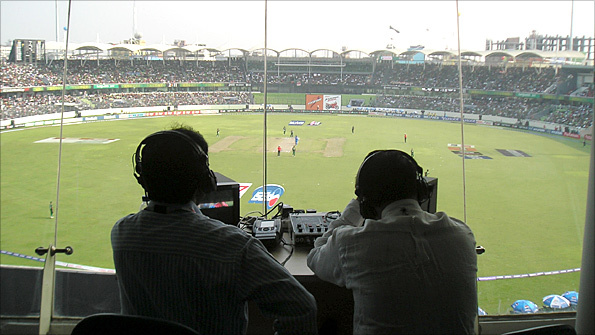 It may be that commentary boxes are used as VIP seats, and commentators are asked to move out. The simple answer is - it depends. For a lot of matches, the commentators will be in the ground, but for others they won't be, for a lot of reasons but usually for financial ones - it can make financial sense to have commentators operate off a TV feed rather than send them thousands of miles for what might be a single match. My experience of cricket broadcasting is European-based, and Sky always appear to have a studio-based analysis team (for intervals) and a ground-based commentary team. The BBC radio coverage is always from the grounds too. The questions on the standard of commentary are different, and I'm not going to get into that as it's totally opinion-based.